Note: Inspired by and dedicated to the fiery woman poet of Bengal, Mallika Sengupta, whose verses on the essence of womanhood often shake me out of my gender stupor and compel me to see myself as ‘Vasudha’, a being of the primeval earth. To my Indus soil, bearing the imprints of my winsome horse trails. The earth that they feast on. In cobbled sidewalks, in forlorn alleys, in bare-bone street corners. The gold anklets garnishing the feet, to hopscotch within the ‘laxmanrekha’. The voluminous clouds, bursting forth in torrents, had claimed to be my paramours. I took them all in, they penetrated my fertile core and I became whole. her arms have been entwined with the sky, and with her primeval man. called me barren, loose, wanton. Is the womb, the blood riot, the mantra of this life, flowing, rippling, gorging. Let them not taint the earth that they feast on. Who is the brown woman? How does she live defined almost solely by her skin colour and all the history it carries? How do we carry racism deep within us even when we think we don’t? These are questions that require deep thought and reflection, and that’s what Otherness encourages us to do. In a world increasingly divided along the lines of colour, despite its apparent modernity, here’s a hard look at the realities that lurk within us, both as individuals and as a society. De.B. Dubois is an Indian-born-Swiss visual artist and feminist writer. She grew up in Calcutta until she stepped out to explore the world by herself. Debolina Dubois-Bandyopadhyay, better known as De.B. Dubois is licensed with International Degrees in Communication Arts and Cultural Studies, as she extended her Fine Arts and Design education in Mumbai, Sydney, Basel and Paris. She is titled with a Master of Arts FHNW in Design from Hochschule für Gestaltung und Kunst, Basel, with special emphasis on Design Culture, Design Research and Sociology. This apart, she enjoys long walks through nature trails, a good glass of absinthe from Val-de-Travers, and creating visual arts. 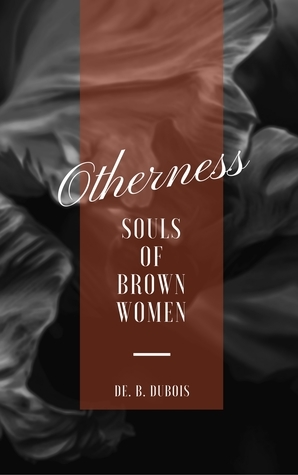 Thus goes the blurb of the recently released book ‘Othernees: Souls of Brown Women’ by author De. B. Dubois. In a brief chat via email, she explained to me the overarching theme of her book and also the social construct regarding skin color and a woman’s identity. 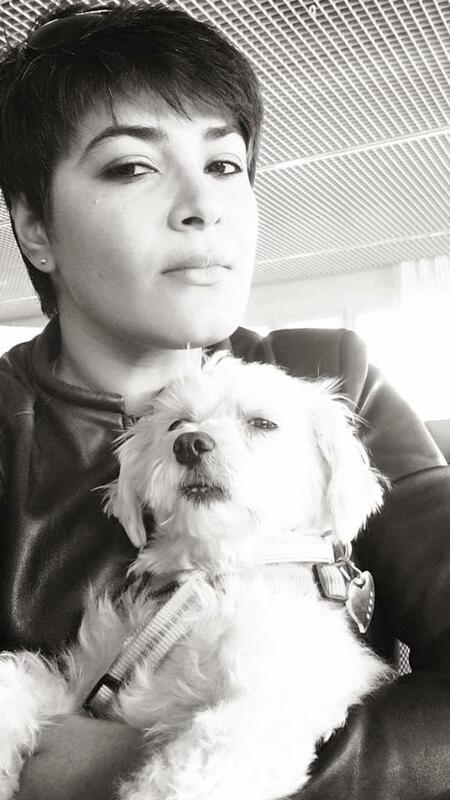 Lopa Banerjee: What, according to you, is ‘the woman of color’? How would you define it in terms of the societal construct, in terms of the realities we see around us? And most importantly, how did it affect you as the author of this book? De. B. Dubois: According to me, and for the topic of the book “Otherness”, the (textbook) definition of “Women of color” (singular: woman of colour, sometimes abbreviated as WOC) is a phrase used to describe female persons of colour. The term is used to represent all women of non-white heritage, often with regard to oppression, systemic racism, or racial bias. In the preface, I have mentioned that “Otherness” is an appropriation of William Edward Burghardt “W. E. B.” Du Bois’: The Souls of Black Folk. This book “Otherness” is written from my perspective as a student of sociology, design culture, design research and art, during my Master thesis (research work done on “Perception of Beauty”), where I was examining Eastern and Western print advertisements and how these visuals sub-consciously constructs and constricts our perception of good and evil. For example, if you see a film – any given film – the protagonist is visually represented as someone beautiful compared to the antagonist. Often times, terms such as “ugly”, “dark”, “dirty” and “brown” are associated with either the way the antagonist looks like, or the way the antagonist behaves. Sub-consciously we are allowing visual media to tell us what is to be considered clean (white), dirty (brown), and evil (black). This colour signification is very complex and has been thrown at our sub-conscious through centuries of artwork, literature, religion et al. And the problem of colour is far more devastating in terms of iconoclasm than any other problem – to the point that it white washes any coloured existence. Shockingly, as coloured people, we tend to idolise whiteness at some point. As an Indian Bengali, I am no white person. I might be tall, I might be “paler” than the average Indian, I might even speak three European languages – but visibly I am Brown. Therefore I stand with not just first hand experience of this:“They don’t like you. They don’t dislike you. You are different. Sooner or later the difference scares people.” but also as a witness to other brown-women around me. Especially the ones who were adopted as a baby, and only know the West as their home, and culture; when I get to hear these brown women (my friends who are perfectly integrated within these “white countries” – growing up as a western children with non-coloured parents), phrases such as: “I wish I was fair like you…” – it effects me on a level that simply cannot be expressed in words. Circulated freely amid all your brothers and you. with so much of your chivalrous cacophony. Not in unconditioned love, but in stoic, formulaic surrender. you could very well do without. Of my sons, of our kith and kin? Panchali, I am, to you, Karna, my all-pervading bruise. Every time we crossed paths, as a rhythmic reminder. Soothed from time to time, when your hands touched mine. As you hovered in my life, presiding over its queer equations? In the ambiguous sheen I myself couldn’t fathom well. I have played my part well in this chaotic and tumultuous play. Is this a new beginning, where I dissolve and form anew? Panchali, I am, look, the boundless sky, my new palace, engulfs us all. you were born, and did not know. Watch out for the journey of my book THWARTED ESCAPE in Youtube as it transforms from a Journey awards winning manuscript to a published book and an Honorable Mention awardee at the LA Book Festival 2017. My belated and small offering on the World Poetry Day, loosely inspired by the Tideling poetic form created by the very young and talented poet Daipayan Nair from India, dedicated to Henrik Ibsen, his phenomenal play ‘A Doll’s House’, and to all of us women folks. Who calls you ‘A Doll’s House’? A pinch of punctuality, a tinge of engagement. At a quiet cranny, Nora’s crochet and embroidery lurk. Nora’s starved essence, her miracles and crushing blows? Ibsen squints from his cold grave. “Distance and memory are uneasy twins. As one advances, the other gallops in an interminable contest of catch up. This fraught relationship is at the heart of Lopamudra Banerjee’s memoir. The tension begins with the book’s title itself – Thwarted Escape – an oxymoron if you will, yet one that makes sense as the reader starts journeying through its pages. It is my pleasure to share an overwhelming review of my book ‘Thwarted Escape: An Immigrant’s Wayward Journey’ written by the brilliant writer/translator Bhaswati Ghosh, published at Cafe Dissensus journal, New York. Do read the full review here, friends. Hello friends, you might be wondering about my long (yes, somewhat) absence from this blog. Let me apologize for being away from you for these few months and make a happy announcement! My new baby, ‘Thwarted Escape: An Immigrant’s Wayward Journey’, partly autobiographical novel, partly memoir, has recently been published by Authorspress India and launched with my literary friends in Delhi, the capital of India and in Kolkata, the cultural epicenter of India. A personal journey of seeking the essence and meaning of HOME, the book is characterized by my quest for my self-identity as a woman, a mother and a daughter, while being ten thousand miles away from my Bengali hometown. The book, which had first started taking shape as a diary entry addressed to my unborn daughter during the third trimester of my first pregnancy, later gained momentum as an autobiographical narrative journey of a wistful immigrant woman as I gradually found my moorings in Omaha, Nebraska, a Midwestern city in the United States. The seed of this book was first sown in a Graduate writing program in a university based in the city where two of my creative nonfiction mentors Dr. Lisa Knopp and Dr. John T. Price egged me on to explore this beautiful, volatile, passionate journey. In essence, it is a subtle, complex and organic journey of my transformation from a small town girl in India to a woman who reconnects with her ancestral home, her emotionally fraught childhood and puberty. In her emotional, spiritual journey, she looks back, releasing her pent up thunder as she recounts her first tryst with death of a loved one, her first encounter with sexual abuse during a Diwali night, her first brush with her ancestral Hindu rituals, with love, procreation and motherhood. With the lens of a time-traveler, she also looks back at the aromas and fragrances of her native Kolkata with wistfulness and nostalgia while trying to find her feet and strike roots in her adopted home. Moreover, she also tries to deconstruct the meaning and essence of Home, of Diaspora, of migration, realizing in the end that her physical attempt to break free of her ancestral roots and filial ties in an adopted home is, after all, thwarted. In this roller-coaster emotional journey, mostly written in poetic prose, I attempt to uncover the slices of my soul while looking back at my roots in Kolkata and Barrackpore, my ancestral home, and my cultural traditions. I attempt to unravel the inner core of my identity and my epiphanies derived as a daughter, a woman and a mother. In the latter half of the book, there are travel memoirs in different parts of US and India, including Niagara falls, Seattle, Minnesota, Puri, Bhuvaneshwar and Konark, Orissa where my inward and outward journey forms an integral part of my self-analysis. In this seamless journey, I also look at the ever-flowing cascade of life from the vantage point of death and despair, ultimately surrendering to the oscillation between the binary feelings of alienation and attachment between two different worlds of my existence. The title ‘Thwarted Escape’ touches upon the metaphor of home and the act of sub-consciously embracing the physical and emotional landscape of our birthplace, however much we evade it. Quite early on, the protagonist of the book discovers the feminist literary worlds of Taslima Nasrin, Virginia Woolf, and later, Sylvia Plath, and a rebellious streak inside her persona compels her to delve into the roots of her ancestral Hindu traditions, question them, at times, even break free of them. However, in her self-chosen exile in the US, she discovers that deep within; her ancestral roots are also the wellspring of her psychological, spiritual existence. In the process, she keeps on oscillating between assimilating and disintegrating, which forms the core of her journey. The Kolkata book launch of Thwarted Escape,with eminent poet and academician Sharmila Ray, Art Rickshaw, Hindustan Park, Kolkata. The book is available in Amazon worldwide now, and in Flipkart, an online e-retailing store in India. Note: For all of womanhood and our blood that brings forth generations. A chain of poems that started in The Significant League, an online literary group in Facebook. Trembling, gasping, clutching at the skinny edges of myself. we have so much strived to hide. I listen to it, watching it return in cycles. spirals of a woman, menstruating, unabashed. All Rights Reserved. Lopa Banerjee. August 16, 2016. Building consciousness and subconscious state of things. Secretly in my core too, a stream gathered drop by drop. Dormant, quite and waiting to fulfill another cycle. I hear soft whispers of pain in it’s weakest state. Clogging every pore of my footprints and I understand the universe. 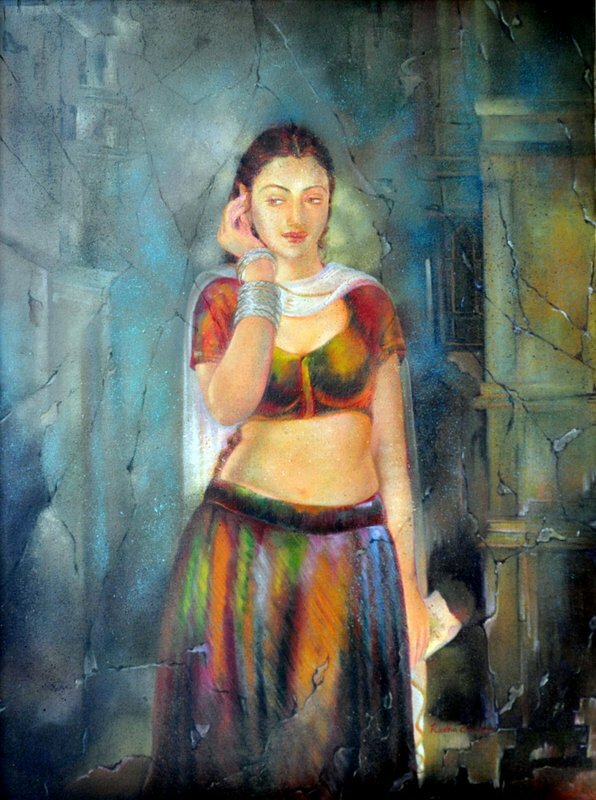 I know you don’t look out for me in the slender, silent daylight peeping through the window of my room, where I have walked around, barefoot, flinging my wistful nets around you, always. I have never estranged you, nor did I lose myself, nor did I ever tell you to seek me, bang at my window, find my name amid lush letters of smoke. I have always been moored in the morsels of your hunger, in the water of your thirst, in the nocturnal flower of your bed. When you have stretched out your arms, my black mane, the dark pool of my eyes, my wet soul have been at your arms’ reach, waiting to be summoned, kissed, chased, tied, untied, forgotten. I have always been there, floating around the arid air in your caverns of want, tracing the tracts of you, headlong, as I hover around the night sky, awake, the old roads of my body shimmering in stardust. I am the whispering, inaudible song in the wind, the earthy odor of tears trickling, when you rest, lavish and carefree, in your cherished kingdom. and think of writing more, in a language where sounds lose themselves, often. I am the bird which never dares to hop and jump, rather crosses over, silently, the drunken boat, which waits, at the edge of the river, strange, tender, aching. © July 2015 · All Rights Reserved · Lopa Banerjee.